The lively, costal cosmopolitan city of Malaga is a major tourist region in the Costa Del Sol and lies about 129 kilometres southwest of Seville. 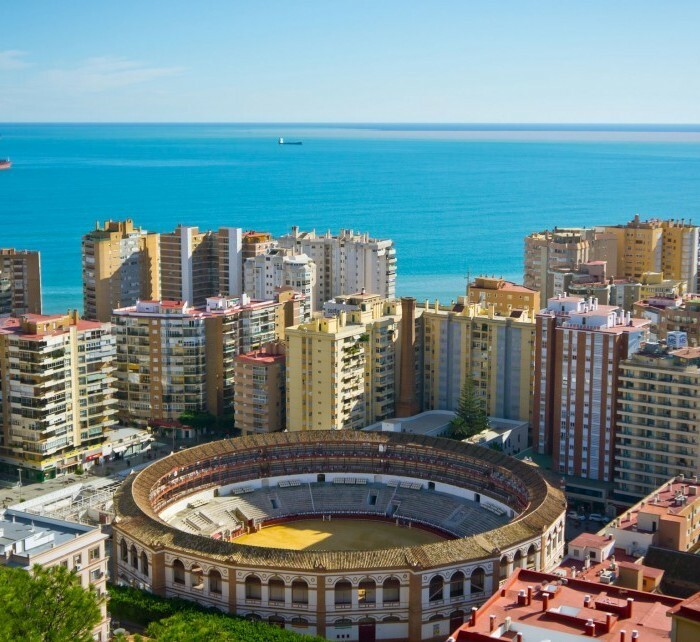 Malaga is blessed with plentiful sunshine – nearly 3000 hours of sun a year – long sandy beaches, wide boulevards, swaying palm trees, a lively nightlife, wonderful museums and an excellent selection of restaurants, cafes and bars. Modern culture and contemporary Spanish style go well together in this historic centre. Book cheap flights from Helsinki to Malaga with Flyhi.fi. We offer low cost airlines tickets such as Wizzair, Ryanair as well as traditional airlines tickets. The informational table of direct flights contains the information about the cheap direct flights from Helsinki to Malaga organized by the airlines. The flight schedules of the airlines help to plan a trip in a easy way and find the cheapest flight from Helsinki to Malaga. Knowing the low cost airlines‘ schedule from Helsinki to Malaga, you may perform a more detailed search for the cheapest flights. While selecting the flight, Flyhi.fi suggests paying attention to the flight schedules of the low cost airlines such as Ryanair and Wizzair. Normally, the low cost flight airlines operate low cost flights on business days; therefore, while searching for the cheap flight tickets, it is important to select the flights operated in the beginning and end of week. To obtain the cheapest flight tickets, it is recommended to book them not later than 6-8 weeks until the date of flight with the low cost airlines.